It is flexible and comprehensive system to monetize user's activities. 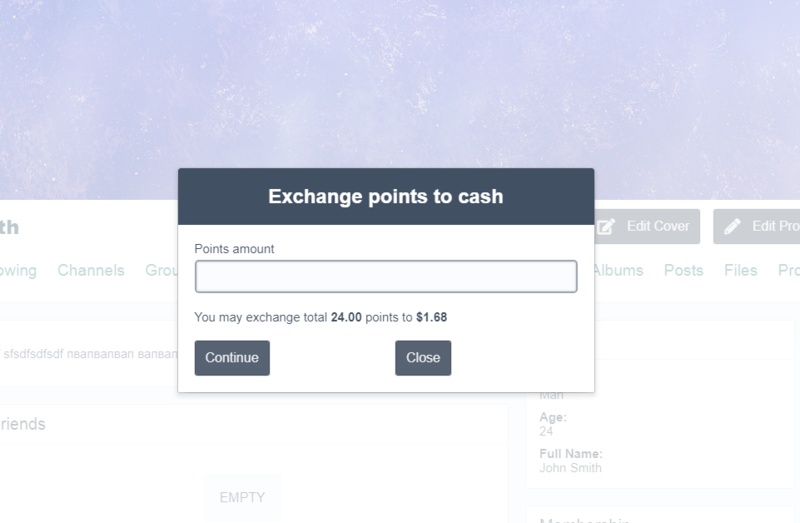 In other words, it allows to reward members with points for their activities. 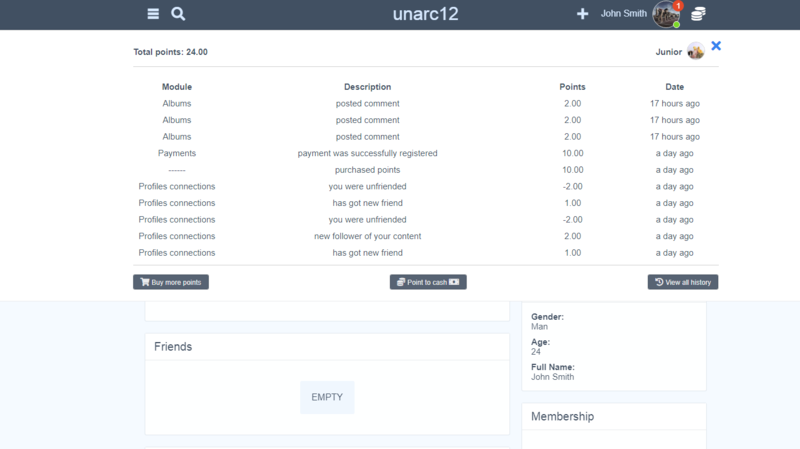 You can guide members' #activity to any part of the site and make them more active in : posting comments, creating posts, voting, sending friends requests, uploading videos, events, etc… Members can also get points levels according to their points balance. 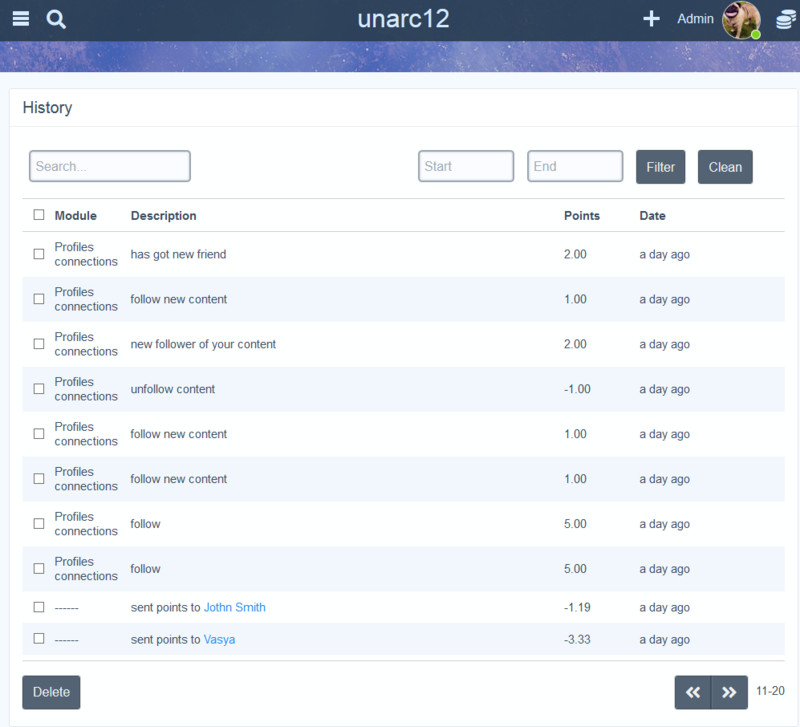 6) View site's notifications about just got/lost points using dropdown menu with details. 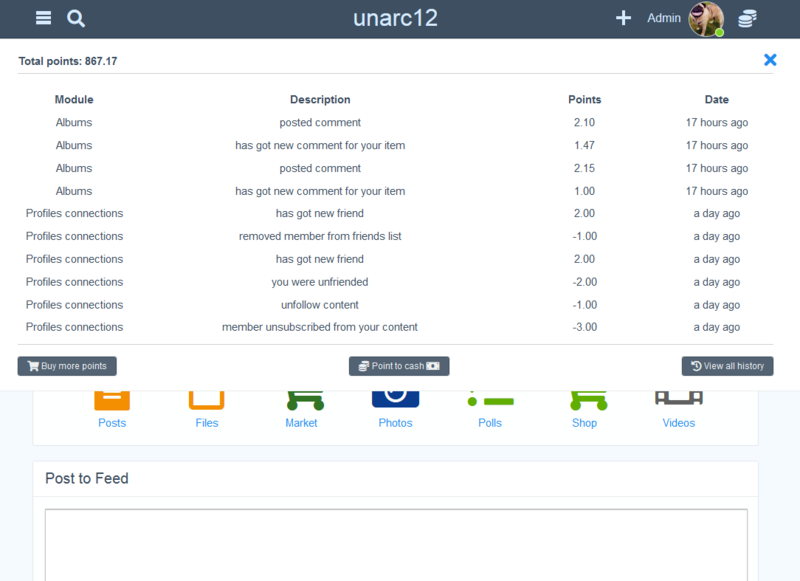 5) Full control of users' activity. 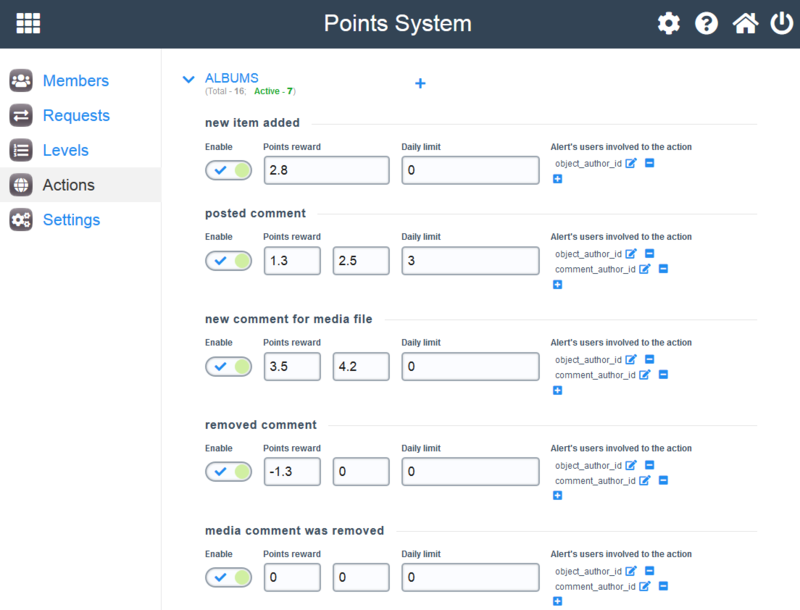 Ajax panel allows to edit already existed or to add new actions to the module and set points for each participant who can be involved to the action. 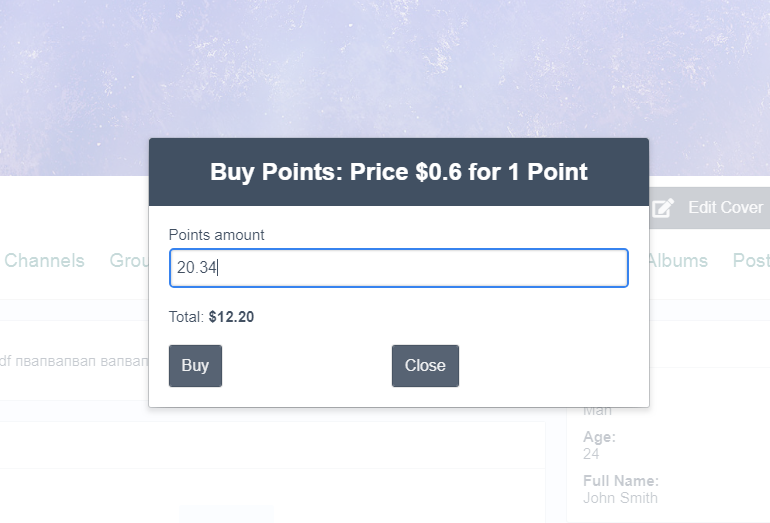 For example: when you send new message in conversation there are two users who can earn points: first - person who sents and 2nd - who gets the message. Another example: if you have new talk in #JotMessenger and someone adds new participant to the talk, then 3 members can get different amount of points: talk's owner, person who adds the new person and new person. 7) Set restrictions on number of the action execution during 24 hours. For example: you may set 3 times per day for photo uploading and then member will be able to get points only for 3 uploaded photos during 24 hours. 8) Reward/Penalize members with any number of points. 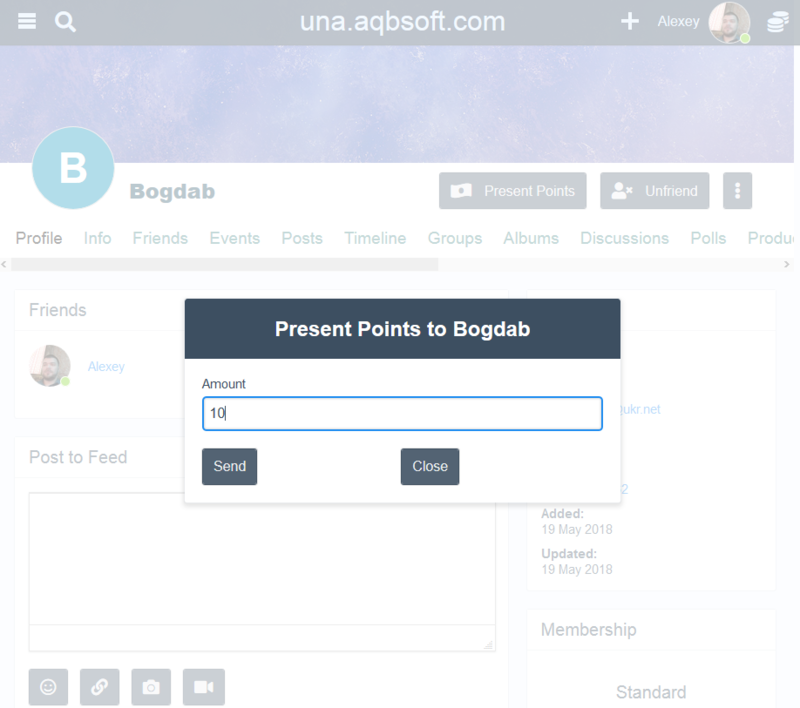 For example: An active member creates a lot of unique and useful content, you as admin can present any number of points like 100 points with message - "Good Job". Then member will get 100 points and see the message in history. 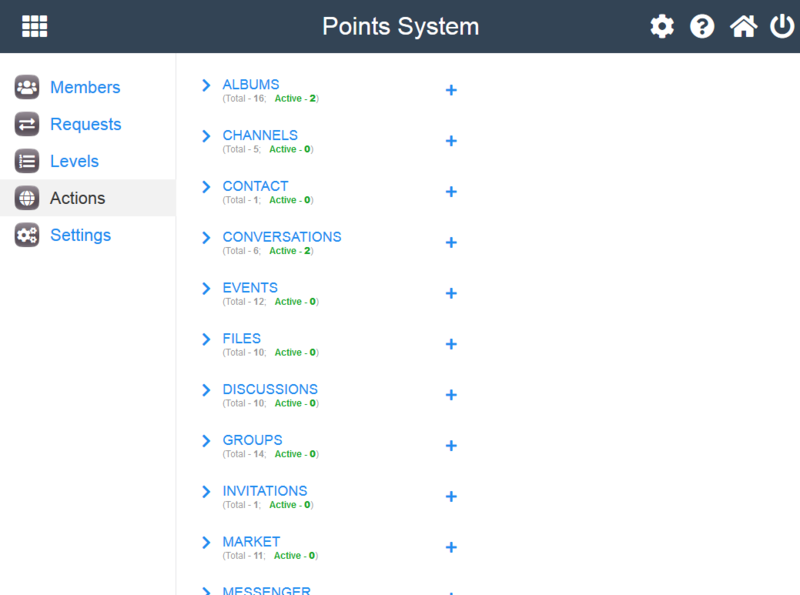 Members can get notification by email about presented points from admin/members. Admin can disable/enable emails notifications via admin panel. 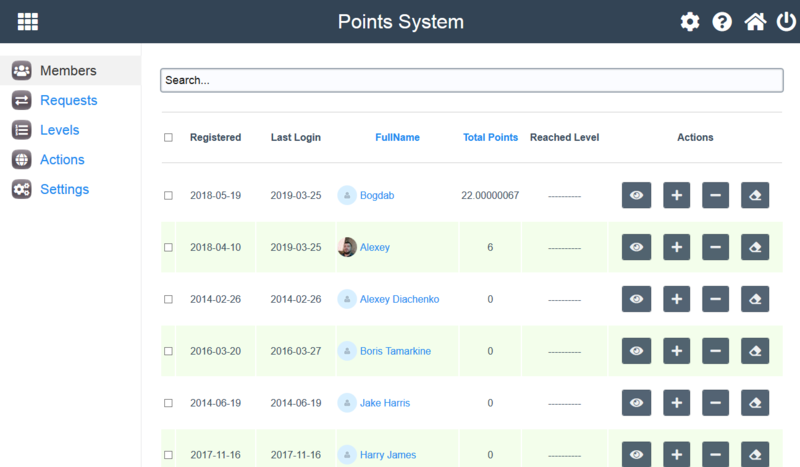 9) Points System can detect just installed modules and allows to add the action or grab already existed from Alerts table automatically. In this case you just need to fill the points values for the actions. dropdown list which helps to add users to alert's participants list or to add your own value. 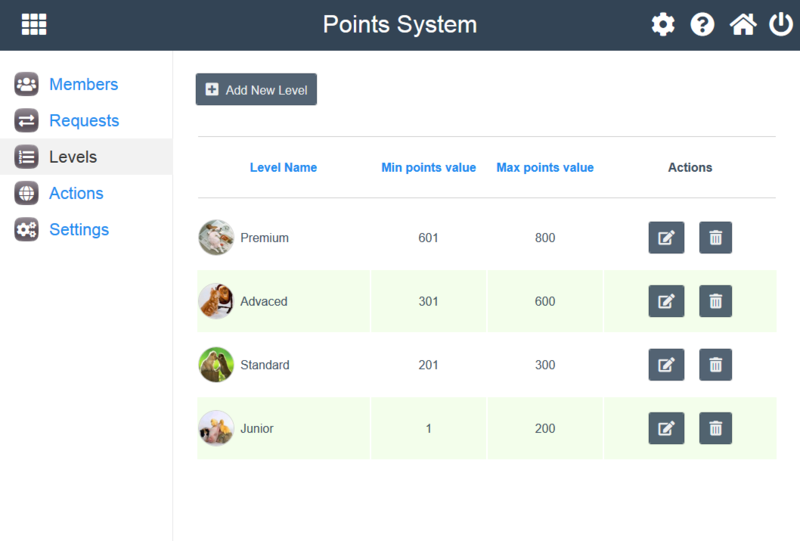 10) Can create any number of point levels with their points' range, names and avatars. recommended for every community site! Really a great job, and a wonderful presentation side member and admin side, everything is well thought out and well built. The second name of this SBA module for "Super Booster Activity", I see a big difference since I installed it. So, I too recommend for all these reasons. A good product! Only one thing just happens to me that I can't translate it because the keys are missing in the polyglot form? Do you also plan to include an option that prevents those under 18 from monetizing? About age limit for monetizing: We have no this ability in our task list, but will take it into account as option for the future versions. 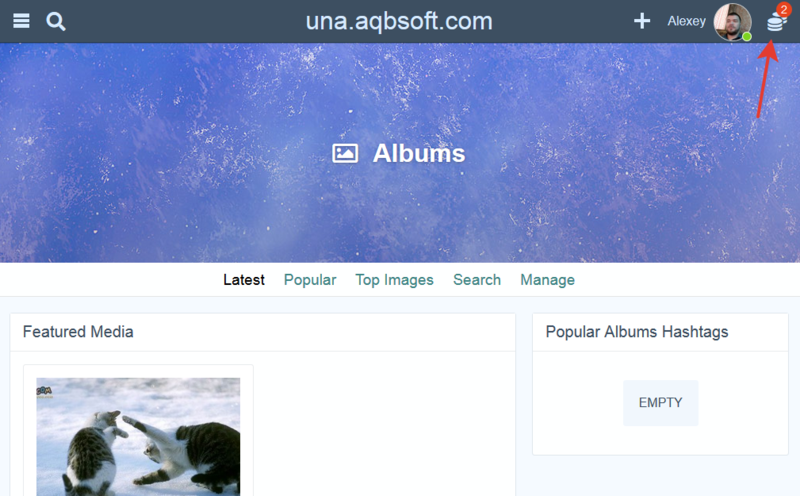 great piece of software AQB Soft - really impressive, very well thought out, brings real value to any community website. Thank you Mark Purser ! We going to add many new abilities in the future version. This issues has been resolved. Let us know please if you still have any problems.